Timer options and robust volume control . 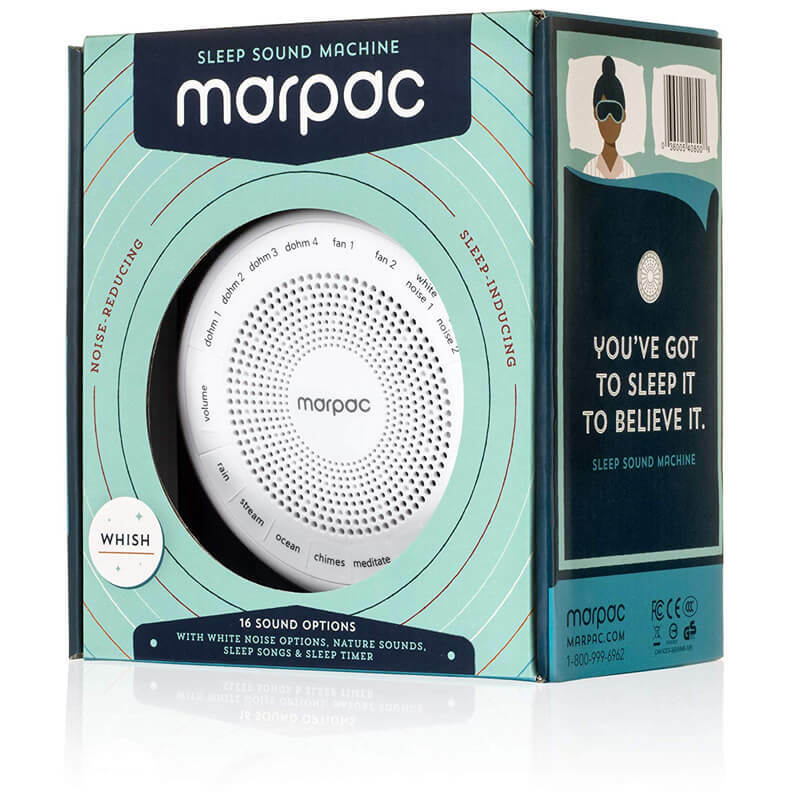 The sleep-inducing magic of a Marpac sound machine makes falling asleep as easy as pushing a button. 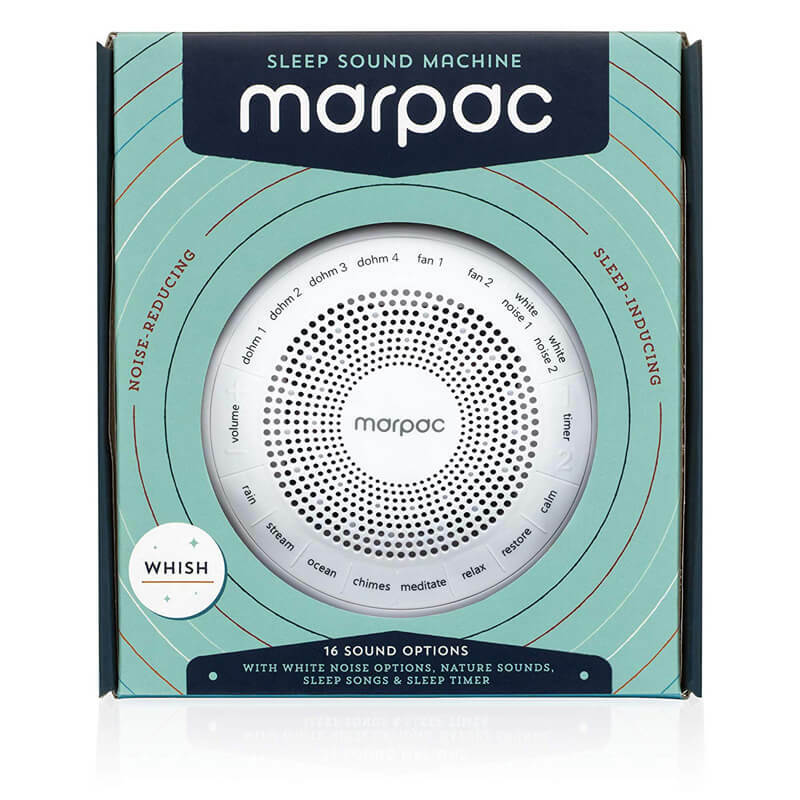 Whatever your sleep sound preference, Whish has your noise masking needs covered. 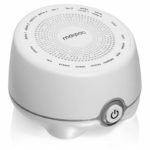 Choose one of 16 sound options, ranging from simple high quality white noise and fan sounds to sleep songs, meditation options, or nature sounds. Adjust the volume to suit your environment, then sit back, relax, and let the ZZZs come to you. Whish also features an optional timer. Give sleep a chance! Whish provides a soothing soundtrack to induce sleep. 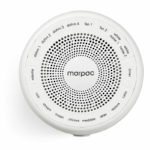 Choose from simple white noise or select melodies designed to relax the body and calm the mind. Once you’re asleep, Whish works all night long to drown out the random noises that would have woken you. Fewer disruptions means that you’ll sleep more solidly and deeply, and rise feeling more rested and restored. Sleeping is believing. 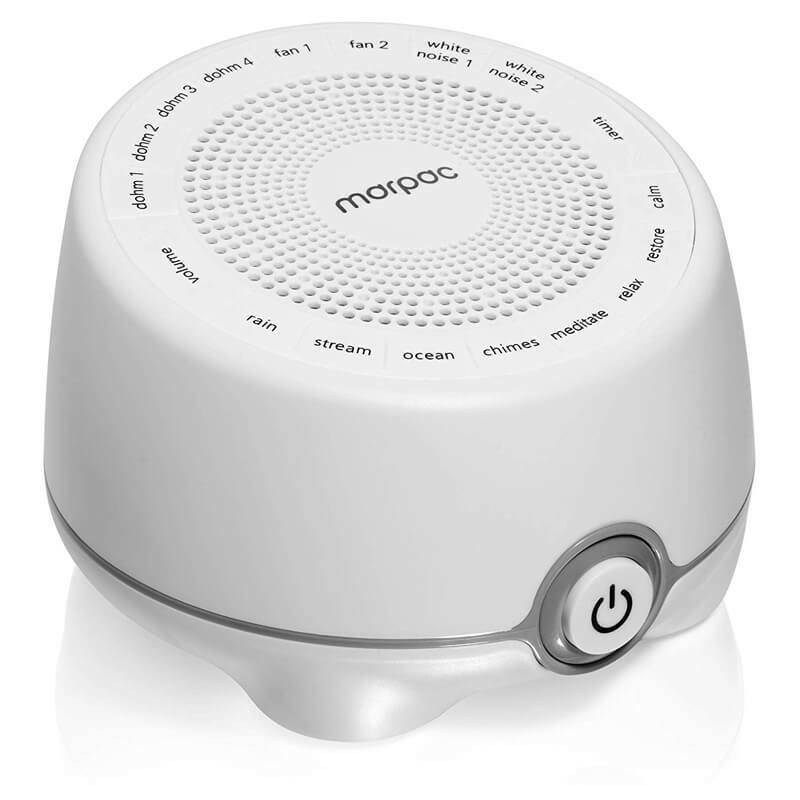 For over 50 years, Marpac has been the gold standard in white noise machines – read the reviews and you’ll learn why! 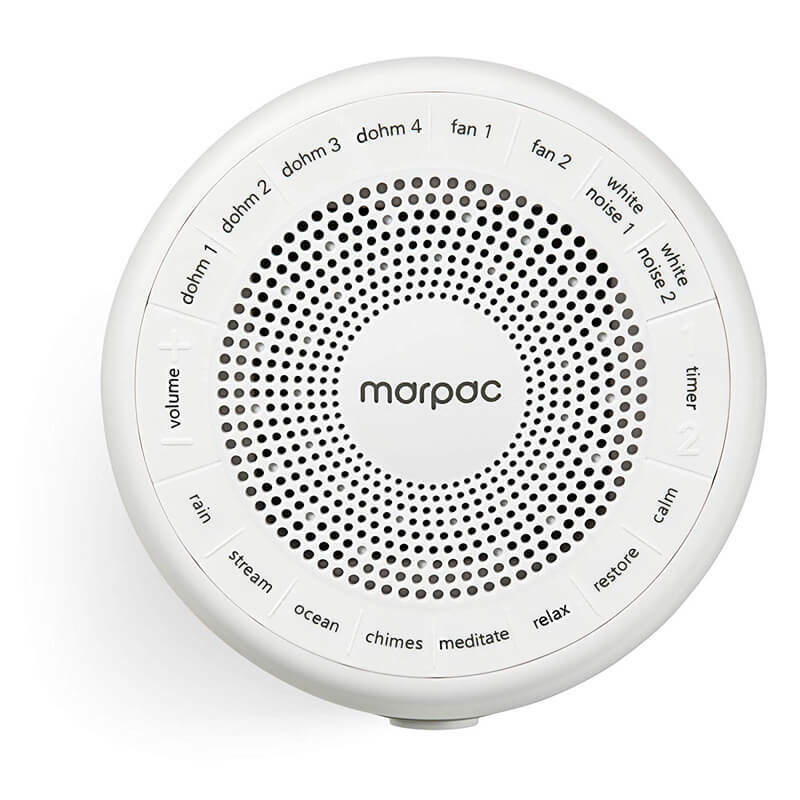 Choose from eight white noise options, including ‘fan’ or the popular ‘signature sound’ of the Marpac Dohm – or opt for nature sounds, sleep songs, or meditation soundtracks. 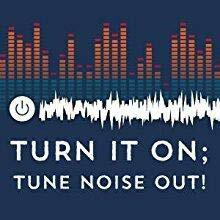 Simply turn on the Whish and tune everything else out. 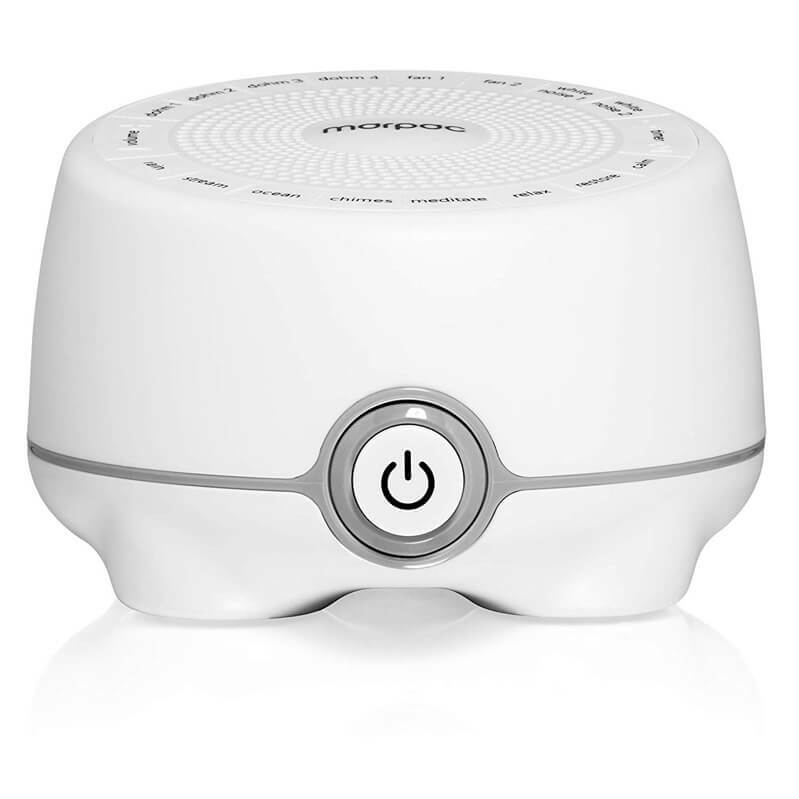 Whish features a robust volume control – from whisper quiet to quite mighty – plus two timer options. 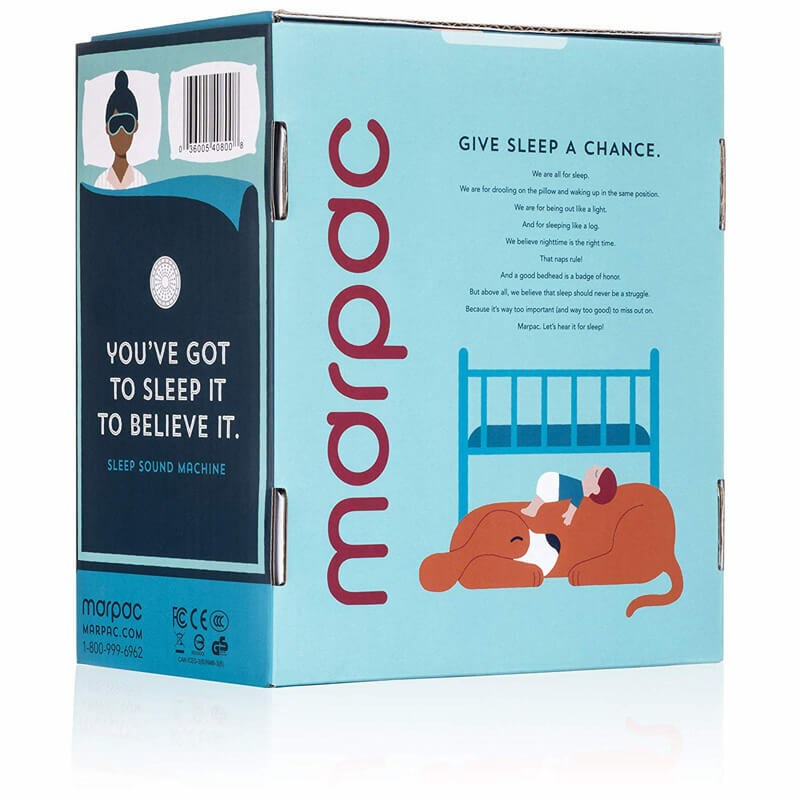 By masking the noises which might otherwise wake baby, Marpac sound machines put an end to tiptoeing and “shhh! don’t wake the baby!” – letting you get on with your day (or night), and helping your baby get the restful sleep he or she needs. Note: Power Supply Plug not included. 10 non-repeating unique fan sounds & 10 non-repeating unique white noise sounds to mask unwanted noises. 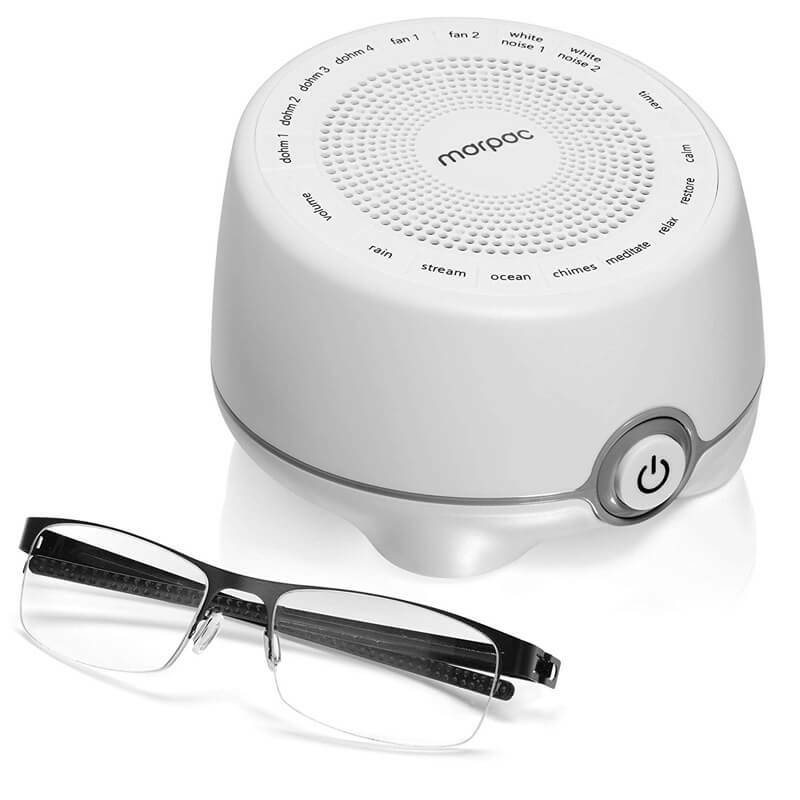 Works well for sleep, speech privacy, snoring, studying, meditation and more. 1. Rhythmic Shush: This is a doctor-approved and thoroughly tested technique designed to break a baby’s cry spell and engage their natural calming reflex. The rhythmic shush reminds baby of being inside mom, where they were inundated 24 hours a day with loud sounds of blood flow and other in utero noises (up to 95 dBs, or the sound of a very loud vacuum cleaner). What may sound harsh at first is actually very calming to a baby. 2. Shusher Timer Options: To give you full control of the Baby Shusher, there are two easy Timer Options that allow you to play the rhythmic shush for fifteen or thirty minutes. So whatever situation you find yourself, you make the call! 3. Volume Control: It’s important that the volume of the shush is louder than baby’s cry. You can choose how loud to play the shush, and adjust the volume as you need to. 3. Versatile and Portable: Because we know that baby’s will cry anywhere, your Baby Shusher is small, compact, and easy to keep clean, meaning that you can use it in the car, when visiting friends and family, or when doing the everyday important things like grocery shopping or catching up with friends. Especially useful for light sleepers, snoring spouses, noisy neighbours, office confidentiality, focus/concentration, babies & children. Official sound conditional for National Sleep Foundation (United States). Two speeds – dual speed motor, unique asymmetrical fan, and acoustic housing create the soothing sound of rushing air, the Marpac Signature Sound, without the disturbance of actual moving air. Fully adjustable tone and volume control. Integrated vibration dampening rubber feet for improved sound quality. Power options: 240V. Suitable for Singapore usage. Hear a sample of the Dohm’s natural white noise. Sound masking – masks noise that might disturb or distract, for improved sleep and concentration. 3 Sound options – bright white noise, deep white noise, or gentle surf. Portable – perfect for travel and on-the-go use (includes lanyard for easy handling or hanging). Rechargeable – convenient USB charging (USB cable included). Simple – interface is easy to use and operate. Adjustable – powerful sound and fully adjustable volume. 10 UNIQUE SLEEP SOUNDS: Reach your optimal sleep potential by choosing from any of our 5 fan sounds, 4 white noises, and one ocean. Then, using the selection buttons, adjust the volume to your perfect setting. COMPACT SWIVEL DESIGN: enables you to adjust the speaker so that the sound projects in various directions for full room sound. The small, ultra-portable size allows you to pack and take Micro with you when you travel. WIRELESS BLUETOOTH SPEAKER SYSTEM: allows you to listen to your music through your LectroFan Micro by connecting to your smartphone for audio playback. 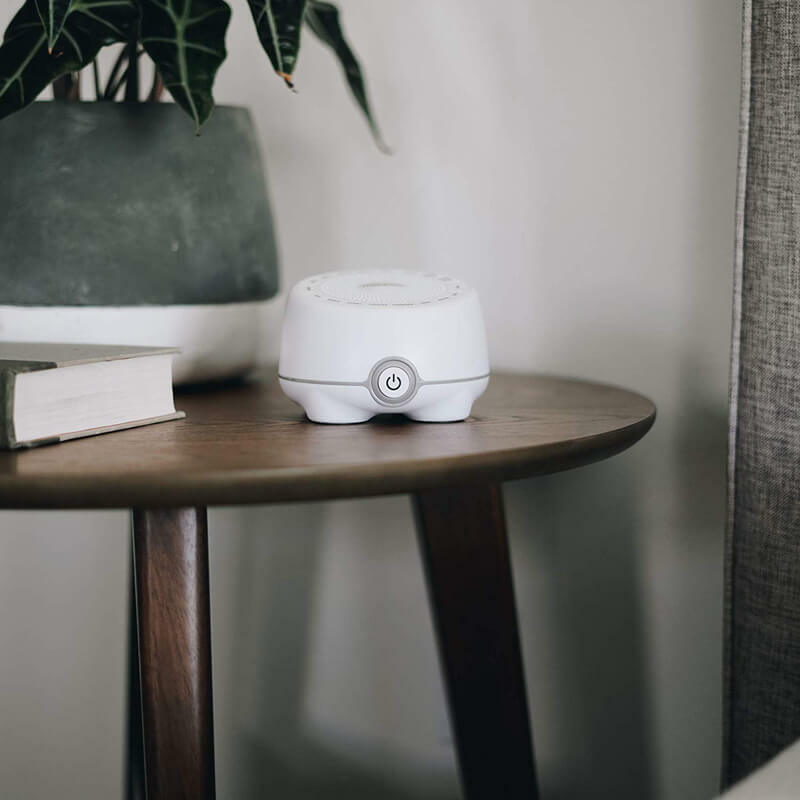 SOFT OFF: Micro’s volume gently fades out as the battery gets low, avoiding a sudden change in volume and allowing you to sleep undisturbed. RECHARGEABLE BATTERY: lasts up to 16 hours for sleep sounds and 6 hours for streaming audio sounds. A USB cable is included with each LectroFan Micro for when it’s time to recharge. WARRANTY: One month local warranty provided. 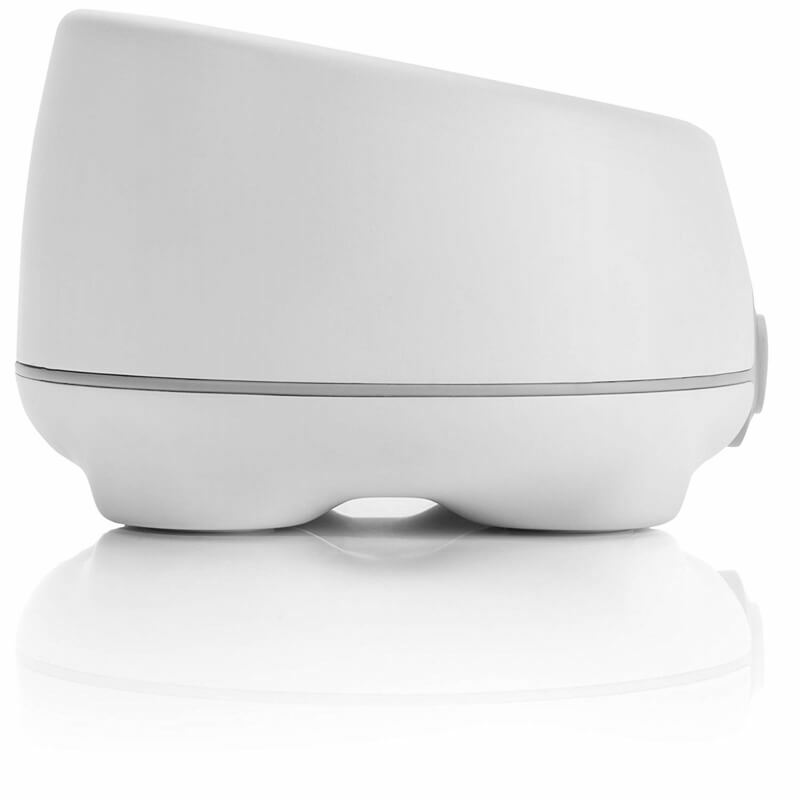 Soothing sound – cradles baby in a consistent, adjustable sound to promote restful sleep cycles. Sound masking – masks everyday noises, so you don’t have to worry about anyone (or anything) waking baby! 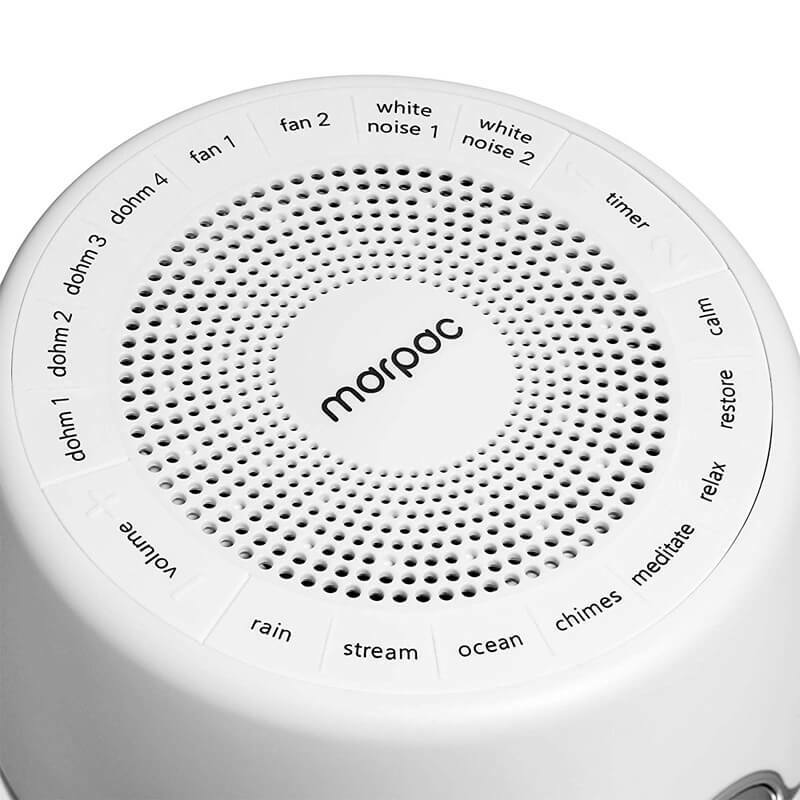 3 Sound options – time-tested by the sound specialists at Marpac, these sounds promote sleep and mask noise: bright white noise, deep white noise, or gentle surf. Portable – simply fasten Hushh to a stroller or car seat using the included baby-safe clip or place it on any surface. The simple interface is easy to use and operate with one hand. Child lock – offers the ability to lock Hushh at a desired setting and volume to prevent younger hands from altering the sound or turning the unit off. Amber LED nightlight – provides just enough light to see by without causing wakefulness for parent or baby.